What’s the water like in Maryland? Water quality can no longer be taken for granted. And its quality various from place to place and even house to house. A variety of factors can affect how your water tastes, smells, feels and works in and around your home. Well water quality, possible contamination, an aging water distribution system, violations of federal drinking water standards and a home’s plumbing are examples of things that can affect a home’s water supply. Some water problems may not be as obvious as others. Below, we’ve listed the water problems we commonly see in Frederick, Bel-Air, and Cumberland, Maryland, but we need to test your water to determine if water treatment is necessary and which option is right for you. Hard water contains dissolved calcium, magnesium and in many cases, iron. Most homes in Maryland have hard water, whether it is supplied by a private well or a municipality. In many cases, homeowners don’t realize they have hard water or the constant and expensive harm it causes. Dry skin and hair, bathtub ring, spots on glass, silverware and fixtures, dull, dingy clothing, disappointing performance and a shortened life expectancy of water-using appliances are all problems frequently caused by hard water. A Kinetico Water Softener will solve your hard water problems. Water is a natural solvent and given the needed time and conditions, it will dissolve anything it comes in contact with. That’s why, depending on where you live, your water can contain iron or manganese which can cause rusty-orange or black staining. You’ll see the stains on clothes, fixtures, sinks, tubs, water-using appliances and toilets. A Kinetico Water Softener or a Kinetico Water Filter will eliminate water staining problems. If water has a low pH, you can see the tell-tale, blue-green stains. These stains are most noticeable on white surfaces that your water comes in contact with such as sinks, tubs and showers, toilets and even white clothing. A Crystal Clear Acid Neutralizer will treat your water and eliminate these unsightly stains. Since the 1850s, chlorine has been used as a disinfectant to kill harmful bacteria in water itself or the pipes that transport it. Although it has helped end a number of major threats to public health and is essential at the treatment plant and in the water distribution system, it is no longer necessary once the water reaches your home. Though chlorine in Maryland is vital for stopping the spread of disease, its benefits come at a price. Chlorine tastes and smells bad. It dries skin and hair, fades clothes (bleach is made of chlorine), and can dry out the rubber seals in appliances, shortening their lives. <p”>Remove chlorine from your water with a Kinetico Water Filter or a Kinetico Drinking Water System. Cloudy, murky or grayish water is usually caused by dissolved or suspended solids. This is also known as “turbidity.” Water can become turbid naturally or from land disturbances such as construction, storms and urban runoff. The turbidity of your water can range from low to high. But even if your water looks clear, it could still contain a high level of dissolved solids. That’s why, whether your water is turbid or not, we recommend you have it tested. There are a few options to treat this type of water, depending on if you want to treat all the water in your home or just your drinking water. According to the Centers for Disease Control and Prevention, there could be as many as 12 million cases of waterborne acute gastrointestinal illness annually in the United States alone. These illnesses are frequently caused by bacteria, viruses and protozoa that make their way into the water supply. Even well operated, state-of-the-art treatment plants cannot ensure that drinking water is entirely free of microbial pathogens. Learn more about safe drinking water. A Kinetico Drinking Water System or a Kinetico Specialty Water Treatment System will rid your water of troublesome contaminants. In its pristine state, water is colorless, tasteless and odorless. So, if your Maryland water tastes or smells funny, you owe it to yourself to find out why. “Rotten egg” smell: Another common source of smelly water is hydrogen sulfide. Hydrogen sulfide is a colorless corrosive gas which has the characteristic odor of rotten eggs. If present in high enough concentrations, it can leave an unpleasant odor on hair and clothing. It can also accelerate corrosion of metal parts in appliances. Find out how much sulfur is safe to drink. Metallic taste: As the name implies, a metallic taste to your water indicates the presence of metals such as iron, copper, manganese or zinc. Iron and manganese are often naturally occurring and are predominately found in groundwater. Copper and zinc can come from an aging water distribution system or the corrosion of copper plumbing and brass fittings. Learn about the permissible amounts of trace elements. 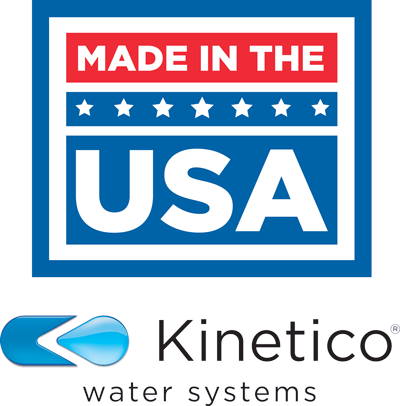 A Kinetico Whole House Water Treatment System or Kinetico Drinking Water System can solve your taste and odor water issues. To request a free in-home water analysis, submit the following information and your local Martin Water professional will contact you within 24 business hours. You can also reach us by phone at (800) 887-7555.